THIS is a clash that would warm up any late autumn Sunday. It’s Down against Armagh and the old dogs versus the first-timers and, with a place in the Ulster final at stake, the battle should be intense and enjoyable in Newry tomorrow. Both sides will take the field confident they can make it to the provincial decider if they play to their strengths. Kilcoo have been there once before. They have been frustrated in their efforts to land the Ulster title their consistent efforts deserve but, as Mayo have found out in their quest for a Sam Maguire, the football field is no place for sentimentality. 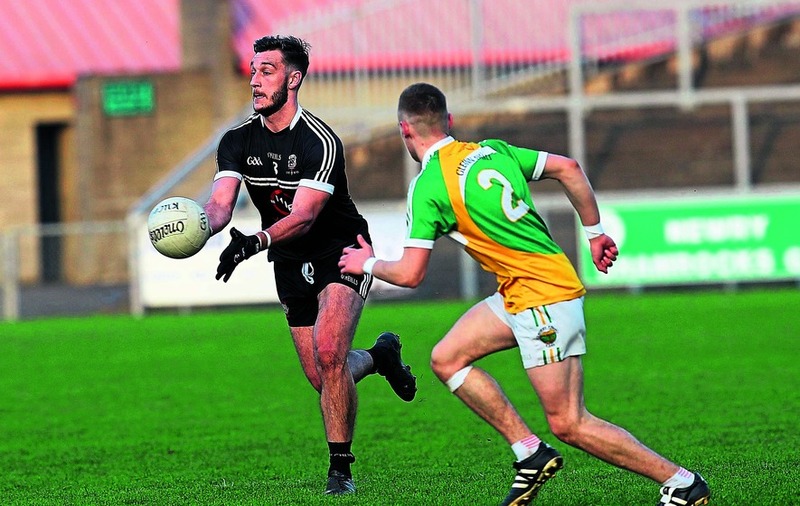 As five in-a-row champions in Down, the Magpies have championship pedigree, but Maghery have emerged from an Armagh championship that was dominated by Crossmaglen – Ulster winners last year – for two decades. They don’t see themselves as the poor relations here. They believe that if their attacking style is good enough to take out Cullyhanna (the side that beat Cross) in the Armagh final and then Cavan’s Ramor United in their Ulster debut, it’s good enough to see off Kilcoo. Of course, the Magpies will have something to say about that. After losing early on in the Down championship, Paul McIver’s men came roaring back and were too good for Burren and then Clonduff in the Down semi-final and final before they reset their sights on Ulster. When he was appointed in 2015, McIver inherited a panel of proven winners from Jim McCorry and he has continued the Lurgan man’s good work. “It’s been a tough campaign in Down and in Ulster,” said the Derry native. “It’s just been a matter of making sure we do our homework on the opposition and give the boys plenty of time in recovery. Since their quarter-final win over Donegal champions Glenswilly, Kilcoo have pulled out of the Down league final. They needed that bit of scheduling like a hole in the head, but McIver says the hullabaloo over it “hasn’t been a distraction at all”. “The players haven’t talked one bit about it and the management haven’t talked one bit about it,” he said. “It’s something the committee are dealing with. Kilcoo defend and attack as a unit with variety and ambition in a fluid system that is all about teamwork and lung-busting effort. Skipper Conor Laverty can operate as an orthodox full-forward – breaking out to the wings to get on the ball and hold it up – with the likes of Martin and Paul Devlin in close support. But he’ll pop up in his own half too and the Magpies will alternate positions constantly as the game develops. Against Glenswilly, midfielder James McClean had a spell at full-forward to add physical presence to the attack but he was then dispatched to defence to mark Michael Murphy. What doesn’t change is the defensive screen, they put in place around their 45. The Kilcoo defence has been boosted by the availability of Darragh O’Hanlon and Aidan Branwagan. They’ll slot into a defence that has conceded just nine points in each of their last three championship games and that tells a tale of an ability to stand up to physical challenges – first from Scotstown full-forward Darren Hughes and then Michael Murphy of Glenswilly. If Maghery are to find a way to beat them, they’ll have to use brains as well as brawn. A route-one game won’t work but quick and accurate ball to Aidan Forker might. The Armagh skipper is mobile and skilful and has been the focal point of their attack alongside his brothers Seamus and Stefan, who was outstanding against Ramor and top-scored with six points. The hard-working Stephen Cusack covers a lot of ground for his side and Maghery will feel they can dominate midfield where James Lavery, who will see a lot of the ball tomorrow, and Ben Crealey have formed a formidable partnership and will win primary possession. The Maghery defence has done well too but the question remains: Can the Armagh champions get numbers back to keep out Kilcoo out when they attack from their own half? The Down men are disciplined, patient and will work scoring chances and take them. 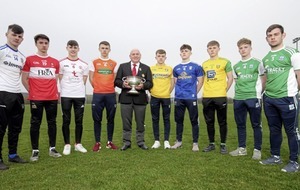 They also have ‘home’ advantage after they won the toss for venue and took this tie to Newry, but Maghery manager Shane McConville doesn’t see any disadvantage from playing at Pairc Esler. “It’s an easier setting for football. The Athletic Grounds is hard to weigh-up. “You can get a windy day when you’re playing down the hill. After the euphoria of winning in Armagh, Maghery skipper James Lavery described the three-point success over Cavan’s Ramor United as “a reality check”. He knows more will be required to win tomorrow and McConville is convinced that his team has more to give. 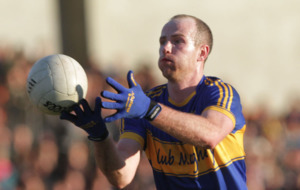 “There’s two big games in everybody every year and I don’t think Maghery have had one yet,” he said this week. If they produce their best tomorrow they are in with a shout. One of the reasons this pairing is so intriguing is that the Armagh men are an unknown quantity at this level, but when the chips are down Kilcoo have proved they do not miss. The Magpies’ favourites’ tag has been earned through perseverance, commitment and quality and they should prove worthy of it tomorrow and take another step towards the Ulster title they crave.